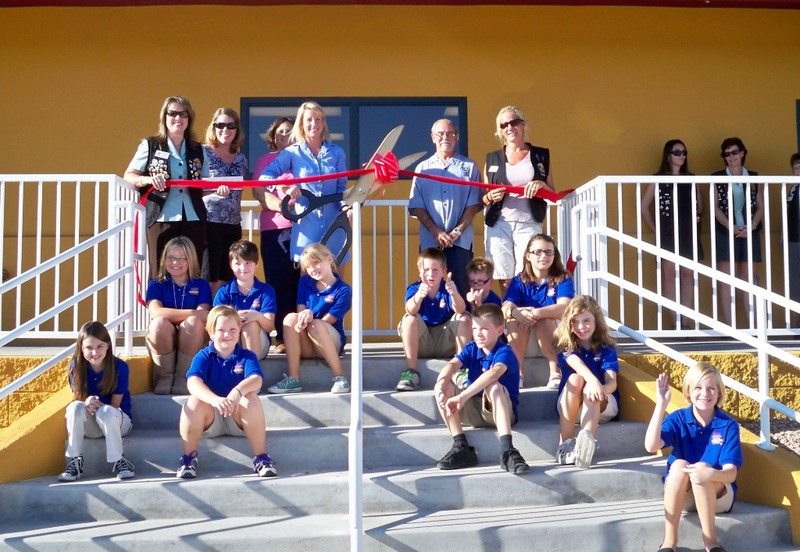 This is an exciting beginning for Havasu Preparatory Academy. It is a new kind of public school. HPA is designed specifically to meet the existing and emerging needs of the community it serves. Therefore, each classroom is actively engaged in community service projects as a part of their learning experience. This enhances the motivation to learn by answering the students' question - "Why am I learning this?" Havasu Prepatory Academy is building lessons and experiences that will last a lifetime. On hand for the ribbon cutting from left to right: Amy Sugamele, Dana Mills, Lark Pettit, Julia Angel, Lake Havasu City Mayor, Mark Nexsen, and Jen Whetten. For more information visit them at 3155 Maricopa Avenue or by telephone at 854-4011.